Having been a huge fan of vitamin supplements after stocking the Advanced Nutrition programme in my salon I was intrigued to find out more about a new product to hit the market called Skinade. 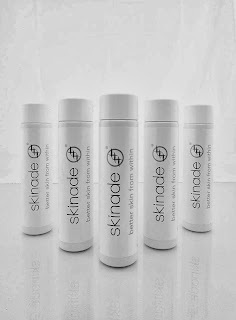 Unlike vitamin supplements, skinade is a simple drink with a cocktail of minerals and vitamins designed to give your better skin from within. 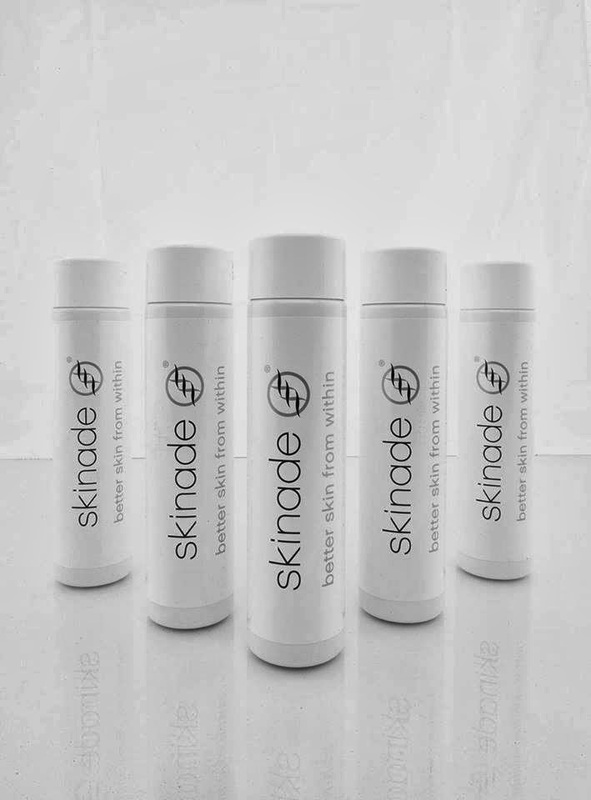 Skinade is a liquid formula as opposed to a capsule or tablet which means the body does not need to break it down as it enters our blood stream straight away and gives higher absorption and bioavailability. The key ingredient is Hydrolysed marine collagen which is ethnically sourced from marine fish. Collagen is a structural component of the skin and as we loose around 1% of our collagen in our skin a year from around the age of 20 its a great way of replacing the collagen that we are loosing in our skin. Other vitamins found in Skinade include Vitamin C, MSM, B vitamins (vitamin B2, Vitamin B3 and Biotin) Omegas 3 & 6 and L-lysine. I have been on Skinade for 20 days now and have noticed my skin is much for hydrated, plumper and is also feeling remarkably softer and smoother. I have also noticed that I have more energy from the B vitamins. I keep my Skinade in the fridge and drink one every morning after my breakfast (advisable not to have on a empty stomach) and can honestly say I don't think it tastes bad at all as it has a peach flavouring. It does have a slight after taste which doesn't bother me but if you are not a fan of the taste I would recommend adding it into some fruit juice.